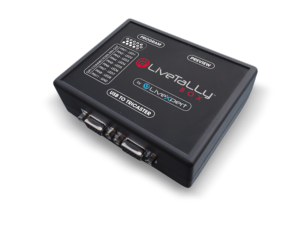 LiveTally Box is an external device for TriCaster that delivers Tally information as closed contacts. It plugs in one USB port and it comes with a software plug-in to be installed on the TriCaster. LiveTally Box includes 2 separate DB15 connectors to deliver both Program and Preview Tally information. It can be used with any GPI based tally systems or it can be used to connect to camera CCU and built-in tally lights. Cable between LiveTally Box and CCU is not included.